The final pilgrimage on the Continent was to visit the Normandy beaches, so, bright and early the next morning (Saturday, Oct 17), we hop a train from Paris St. Lazare to Bayeaux, home of the famous Bayeux Tapestry. We then took a 2-hour cab ride (interesting, since the driver spoke no English, and we spoke no French!) out of Bayeux along the beaches. 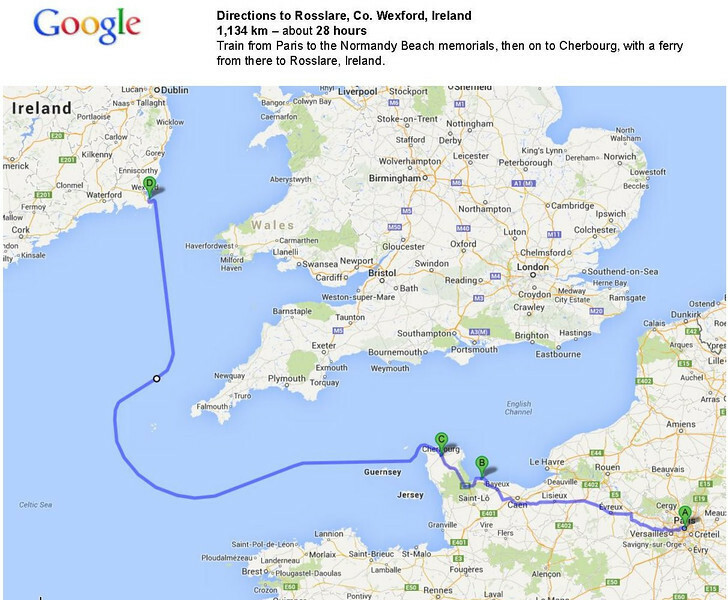 Train from Paris to The Normandy Beach memorials, then on to Cherbourg, with a ferry from there to Rosslare, Ireland.